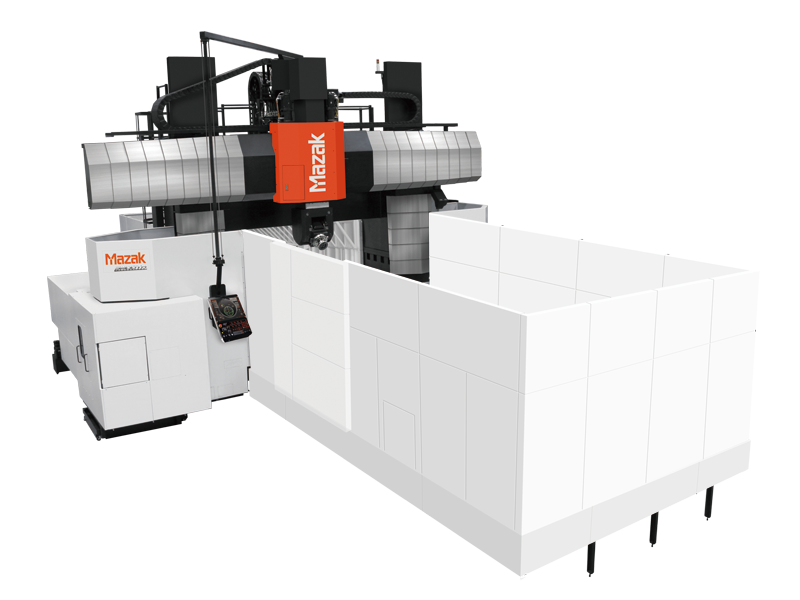 The VERSATECH V-140N/440 5-axis double-column machining center is designed to provide unsurpassed productivity in the machining of very large workpieces thanks to its spindle head that can position to the vertical and horizontal positions and any angle in between. The machining time for cast iron and non-ferrous material workpieces can be considerably reduced thanks to the machine's fast cutting feedrates and spindle speeds. Additionally, since multiple-surface machining can be realized by just changing the position of the spindle head by program command, non-cutting time is considerably reduced.